Today I am grateful for an amazing homeschooling community as we gather for our annual "Not back to school" picnic. Their support, advice, and encouragement are the best! I am also grateful that we do not have to do a 7am bus call!!! Yikes, that is early. 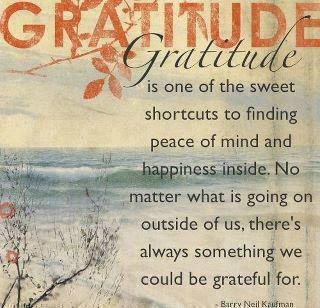 Enjoy your gratitude filled day and all those hugs and kisses! Ah, that sounds just lovely Jennifer. Finding our homeschooling community is proving to be a bit of a challenge, but I know it will fall into place one day. Yes, to everything on your list! Hope J is feeling better, too. What a wonderful list of gratitude! I had a sweet moment with #1 son...he called me "Mommy." I haven't heard that in ages. It was wonderful! Thanks Melissa. I bet that was just wonderful. Reece has gone from calling me mama, to mommy and now mom. My favourite has been mama and every once in awhile he calls out mama and it warms my heart. Hot tea in a handmade tea pot. New baby greens in the garden. Warm snuggly knits cut out for Audrey's new pj's. Hugging my babies. Good books. Chilly mornings and warm afternoons. Lovely list! I'm grateful for a respite in the heat, local organic apples, the craziness of three year olds, the even more craziness of a new walker/explorer, the first park outing in three months, a slow return to simplicity. Thanks KC, yours is lovely too! Such a great list - it is such a good reminder to pause and remember those good things in our lives! Thanks Gretchen. I think we all need a little reminder sometimes. Beautiful and so true! There are very many blessings to be grateful for and for me, one of them is finding this blog space/connection. So inspiring! Thanks, Kim! Awe, thanks so much Renee, I so appreciate your kind words. Thank you.